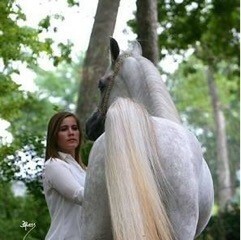 Paige Wagner has been riding and working with the Arabian breed since the age of six. As her knowledge of horses grows so does her appreciation. She believes that working with Arabians requires developing relationships with them, and to do so requires more than just admiration. It requires understanding and knowledge. Lessons and training with Paige is more than just riding technique, it is about gaining knowledge that translates to enjoyment, which turns into success. Paige’s stellar and versatile youth career began in 1999 and included multiple AHA National Championships, National Top Tens, and Regional wins in Equitation, Trail, Hunter, and Western Pleasure. She has also earned the AHA Rider of Excellence Champion. In college and beyond Paige has remained involved with horses. She was on the Kansas State University Equestrian Team in college where she earned her Bachelor of Science degree. She taught lessons for youth riders at Puzzleface Ranch in Jackson Wyoming and later served as a wrangler for wilderness hunting trips in Wyoming. Paige comes to Beethe Arabians eager to share her experience and continue to expand her knowledge of horses and the majestic Arabian breed.